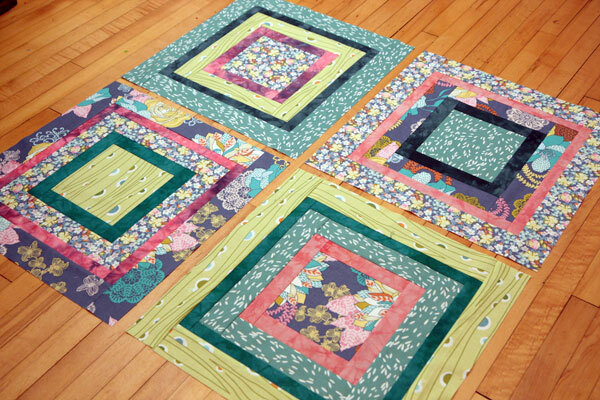 The Minneapolis Modern Quilt guild had a block exchange with the Baltimore Modern Quilt guild, where we each made at least one “Bento box” block. A Bento box block looks like a log cabin, but then you cut it into four quarters. 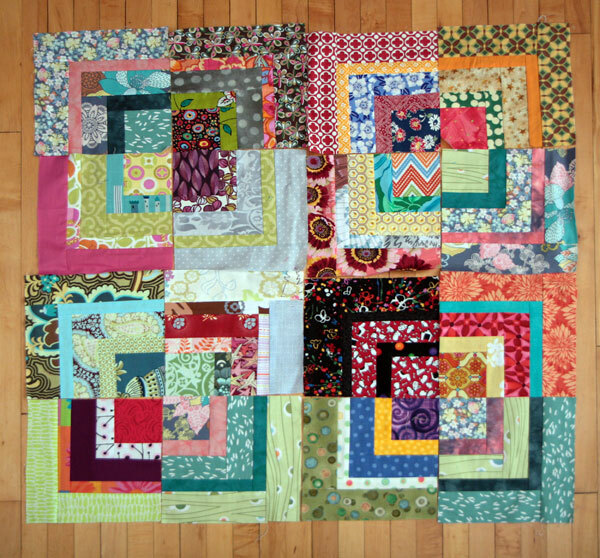 We were to keep one quarter of each block and submit the other three quarters to swap. 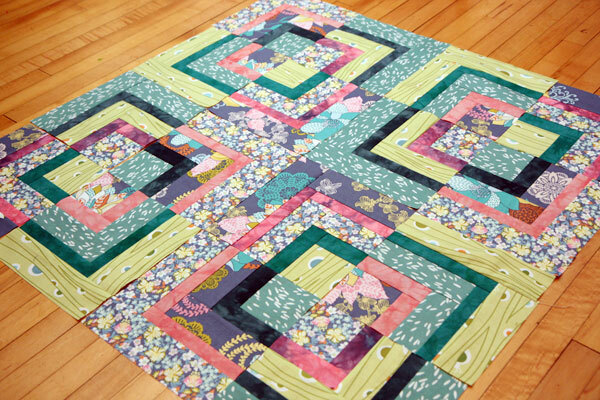 I made four blocks and at this point, I think I might have used nearly every print fabric I had in my tiny stash! I was amazed at how profoundly ugly my blocks turned out… But then when I received my swap blocks it was even worse… The blocks didn’t go together at all! So I cut the blocks up even further and came up with this layout, which involved a lot of partial seams and at least made it tolerable. 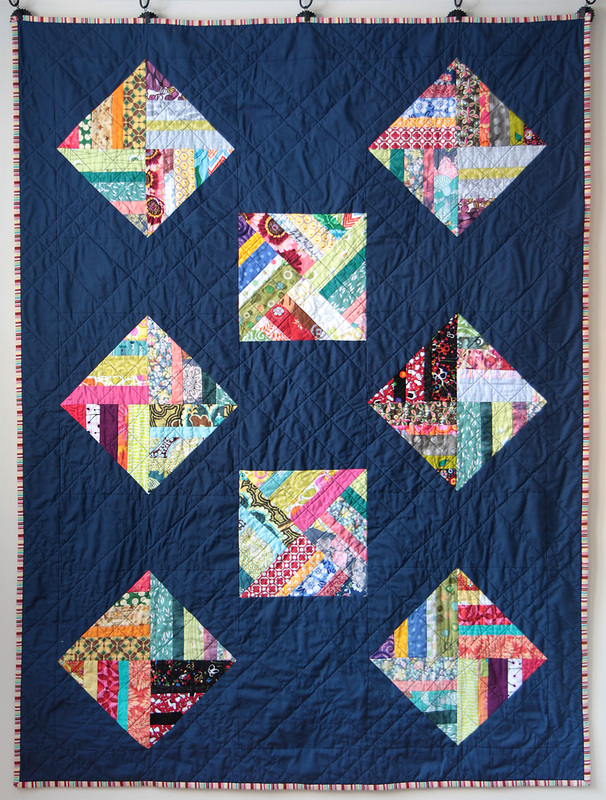 This quilt was given to charity.